Stay safe this holiday weekend and take care of your pups! The 4th Of July is generally pretty tough for dogs, because of all the fireworks and excitement. It’s even more difficult for them when you cannot be home to comfort them. You are their support and steady rock, more often than you may realize your dog feeds off of your mood and disposition. If you know your dog is uncomfortable with loud noises, be sure to accommodate them by being home, and offering comfort for them. This can be as simple as just being in the same room. Each dog is different, but they all rely on their owners for love and support. If you know your dog is not good with loud noises, take the extra step to keep them safe this weekend. Anxious and scared dogs have a tendency to injure themselves out of panic, or they could tear up the house because they do not know what to do and have no support or guidance. If you can’t be home, here are some tips & tricks to keep them safe and relatively calm during this stressful time. Take them out before you leave and spend some time playing with them, bringing their mood up. Be sure to have your dog kenneled in a safe place in the most quiet room you have. This lessens the chance of injury or your home being torn apart. Play music for your dog to create some “white” noise outside of the fireworks, this will help comfort them and reduce the amount of anxiety and stress on the dog. As soon as you get home check on them and make sure to comfort them, make sure they feel safe and let them know that everything is just fine! There are some amazing techniques that we use to desensitize dogs to loud noises. Such as gun shots, fireworks, construction etc. If you’re dog has anxiety due to noise, give us a call we can help. These private training sessions are only $20! 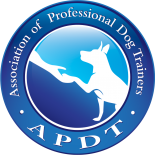 Start Your Dog Training Off The Right Way Get A Free Training Evaluation! Adopt A Puppy Or Buy From A Breeder?